Two important summits take place at the end of 2009 in Europe: the 7th conference of ministers of the World Trade Organization (WTO) in Geneva and the UN climate summit in Copenhagen (COP15). With a week between them, 60 activists from the global South will travel across Europe through Italy, Switzerland, Germany, France and Denmark. They will draw attention to the consequences neoliberal globalization and climate change have on their lives and show how to fight against them. Together with local activists, they look for alternatives to free trade and the privatisation of resources, and unite the North and South in their fights for another world. The 7th Ministerial Conference of the WTO takes place in Geneva from 30th November to 2nd December 2009. It is the first WTO conference for 10 years to take place in Europe, and not on an island nor in the desert. 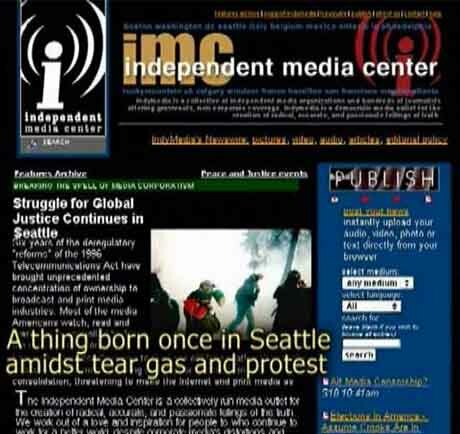 It also begins on the 10th anniversary of the protests in Seattle, which forced the World Trade Organization 1999 to the abort its negotiations, striking a major blow for the WTO. It was a great success for the anti-globalization movement. A few days later, from 7th to 18th December, the UN climate summit takes place in Copenhagen, where member states will decide upon how they will protect the climate once the Kyoto Agreement runs out in 2012. Global social justice movements are mobilizing to converge on Copenhagen in order to protest together for fairer handling of the consequences of the climate change. The Social & Climate Justice Caravan 2009 wants to link the protests against the WTO with the protests against the climate summit. Between 3rd and 9th December, 60 representatives from global movements from the South will drive two routes from Geneva to Copenhagen. The Western route goes through Paris and Brussels, the Eastern one through Freiburg, Frankfurt and Cologne, including a delegation to Berlin. The activists will meet up in Hamburg in order to drive together over the Danish border to Copenhagen. 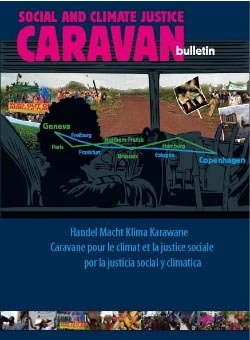 With public meetings, discussions and actions planned, the caravan wants to draw attention to the consequences of trade liberalisation and climate change on people in the global South. Through meetings and workshops, participants seek to establish networks with local activists and hope to mobilize as many people as possible to Copenhagen.